Many may claim to have the best sandwich in Los Angeles, but, ladies and gentlemen, there's only one place that can hold the title of Best in LA. And, in my opinion, the Roma Market in Pasadena is the winner hands down. 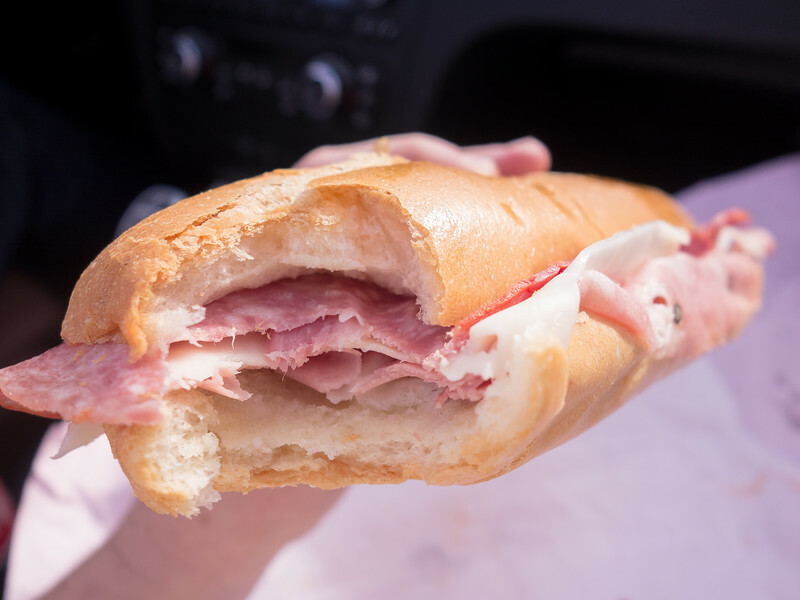 The velvety texture of freshly sliced Italian meats, the fragrant olive oil, and the crisp Italian bread are only part of what make this the best sandwich in Los Angeles. But the real reason this sandwich is #1 is the charming deli and sandwich maker. One fun thing about exploring SoCal's dining scene is how incredibly authentic the food can be. With so many expats here, finding the REAL DEAL is usually pretty easy. You're pretty much guaranteed a great taste of a foreign place no matter if you’re munching street tacos in Boyle Heights, chowing down on Korean BBQ in Korea Town or drinking boba in Chinatown. 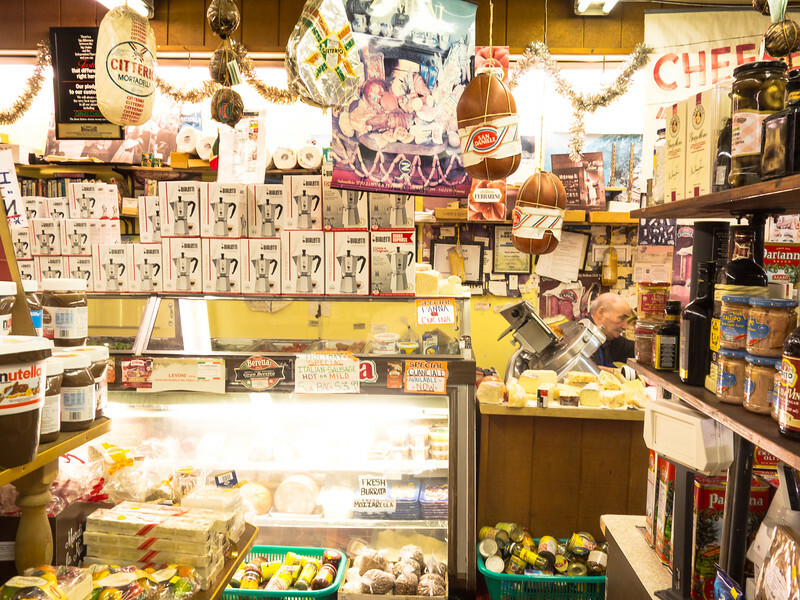 So, we weren’t that surprised to find an authentic Italian deli in the Los Angeles area. What did surprise us was who was behind the deli counter. Hidden in a tiny strip mall in Pasadena is Roma Market, an Italian market, and deli which sells fresh produce, fresh pasta, and superb deli meats. Tucked behind the small deli counter is Mr. Mazzeo, a senior man who's carefully curating the best sandwich in Los Angeles. He's busy thinly-slicing mortadella, salami, prosciutto, and provolone, which he then drapes carefully over freshly baked bread. Add a little drizzle of olive oil and, man, have you got a meal. There’s no fuss, no muss, no mayo, and no mustard. There are no other options either, just “the sandwich.” But, trust me, you won’t want anything else. I knew we were in good hands when The Professor came home singing praises for “the sandwich.” He’s lived in Rome for extended periods of time in the past, so I trust his judgment when it comes to good Italian food. 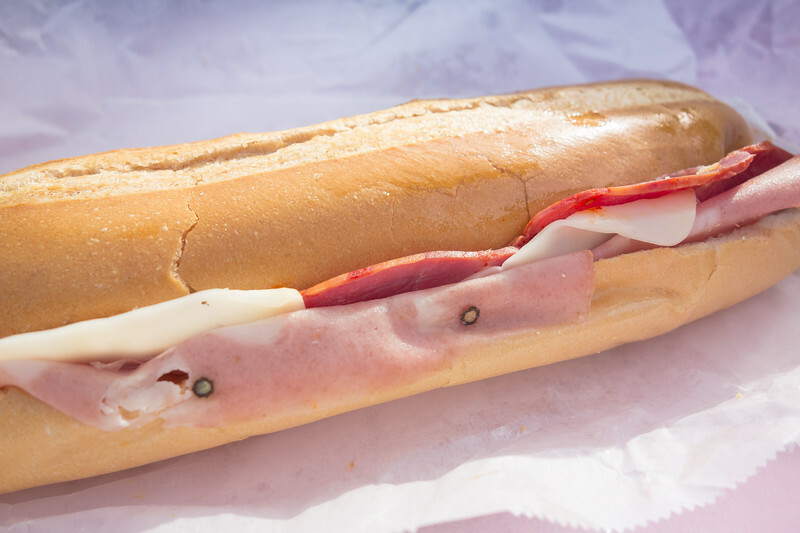 The first thing you taste on this mega-sub is the buttery, silky goodness of the prosciutto and the slightly salty mortadella. The crusty Italian bread adds necessary texture, while the hint of spice from the spicy salumi is balanced by the mild flavor of the provolone. This colossal sandwich sets you back about $6, and it can easily be shared. Easily affordable, authentic and oh-so-tasty are three really great reasons to check this place out! Word has it that a new, larger market and deli have opened in Escondido, near San Diego. Maybe it’s time for a train ride down the coast! So, next time you find yourself in the LA area, don't miss the best sandwich in Los Angeles. If you like this post, then be sure to sign-up for my newsletter. You'll stay up-to-date on all my latest articles & partnerships, plus get a behind-the-scenes look at my blog. Enter your information below now and get my latest freebie! P.S. For more information about the man-behind-the-sandwich check out this LA Weekly article. This looks SO good! Glad it’s lunch time now, getting some food now! Food from markets is always so much better! Taylor, I completely agree! I think the surprise factor is a big part of that. It’s always great to be blown away by great food from a place where you least expect to find great food.